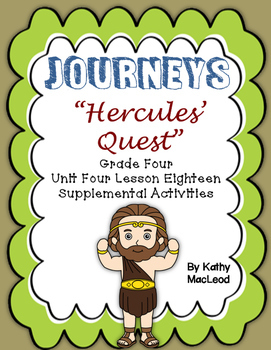 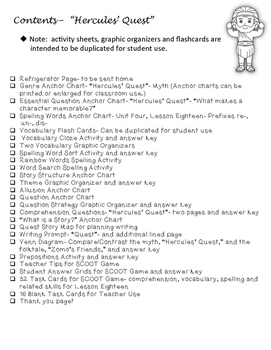 Journeys Fourth Grade: "Hercules' Quest"
This supplemental activities unit will make teaching this lesson easier for the teacher and more enjoyable for the students! 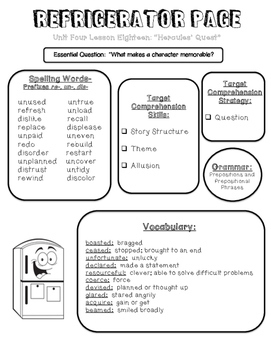 -Essential Question Anchor Chart- "Hercules' Quest"- "What makes a character memorable?" 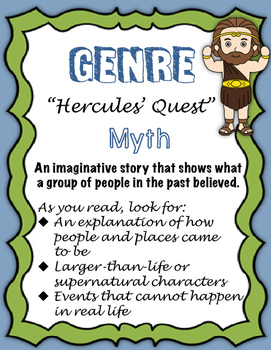 -Venn Diagram- Compare/Contrast- main story, the myth "Hercules' Quest", and the folktale, "Zomo's Friends"